The dry rub is a marvelous addition to your summer grilling repertoire. With the simple shake, you can add amazing flavor to any grilled foods. 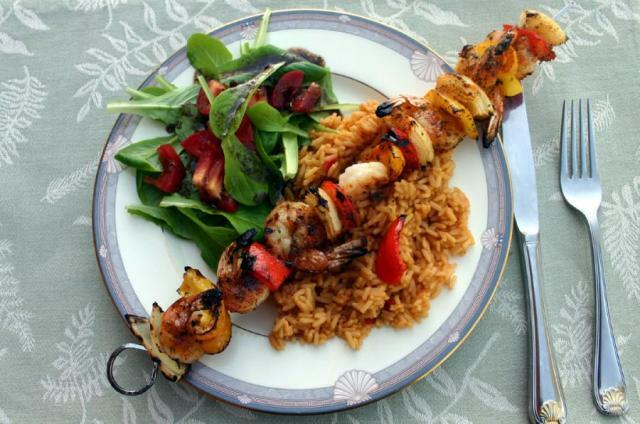 Using The Art of Good Food's "Sweet" or "Savory" dry rub, you can turn anything from shrimp kabobs to hamburgers into gourmet fare. We love the kabobs because they are beautiful, quick to cook, and the roasted veggies are a real treat.